On all of Nelson Rangell’s previous 15 label recordings his flute work and the directions that instrument naturally guided him towards played a secondary role to his saxophone which was in simplest terms, regarded as the more commercial investment by each of those companies. 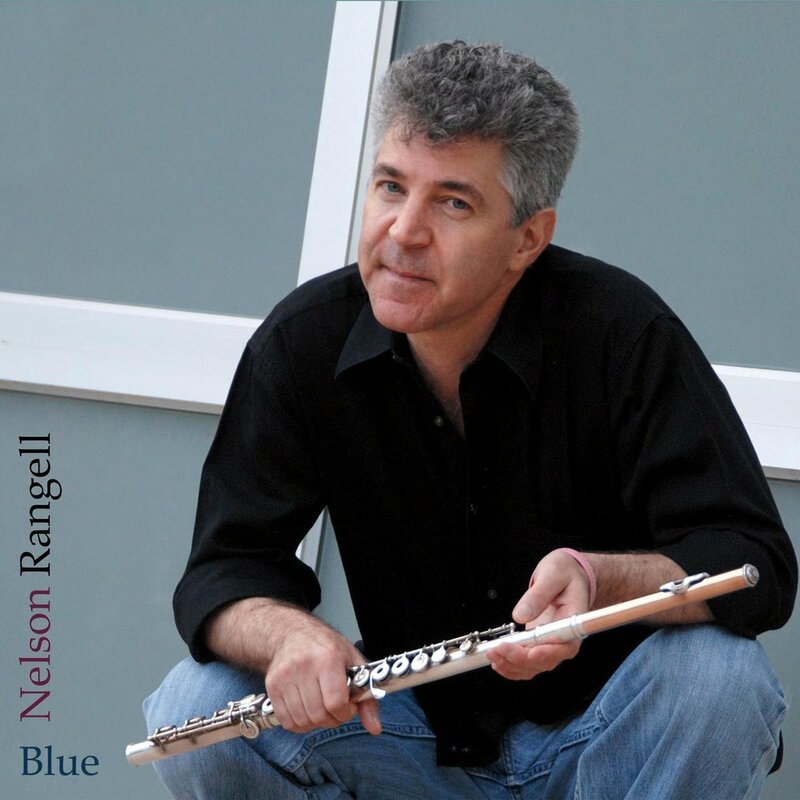 While Rangell sees his musical aspirations as ultimately being no less “commercially minded” on the flute, the scope and diversity of the compositions and arrangements on “Blue” are unusually wide for any single project let alone one done in tandem with an entirely separate album. “Blue” features nine tunes from as varied a group of composers as Stevie Wonder to jazz adaptations of classical pieces by Maurice Ravel, Gabriel Faure and Sergei Prokofiev. The disc’s stylings include everything from R and B to up tempo straight ahead jazz and classical. The unifying thread that bridges the diversity of material throughout the album is Rangell’s unfailingly soulful approach, beautiful sound and technical mastery running through each song. “Blue” includes 2 original pop jazz gems as well, eleven songs in all. Also featured are inspired and fresh contributions by contemporary jazz legend Bob James on 4 of the eleven tracks. James plays with not only his patent artistry and musical insight but with tremendous fire and range.